This is a big one. I constantly get questions regarding meditation. So many people are interested or at least intrigued by it, but are scared to try it out or don't even know where to begin. If this is the case I hope that by reading this you get inspired to try it today. Three years ago, I went to a yoga class where the instructor had us meditate. It was scary, confusing and I had no idea if I was doing it right. I had some really profound meditations here and there, mainly in yoga class, but I did not have an established meditation practice. Fast forward to today and I don't even know how I went through life without this tool. The days when I don't meditate I can feel how much of a difference it makes in my life. Meditation is a tool and a practice. It is the simple process of practicing mindfulness through the witnessing of our inner world. It is becoming an observer and resting the mind to attain a state of consciousness that is totally different from the normal waking state. It is a tool that helps us experience the soul while quieting the mind. Meditation teaches us mindfulness and acceptance. In stillness, you will find your true self. The benefits you can receive from having a daily meditation practice are HUGE. Through meditation we re-discover our essential nature of peace, love and bliss. Meditation will deepen your presence, lower stress, awaken creativity and enhance your ability to be centered through it all. The circumstances and chaos around you may not change, but how you experience those things will. It is also great to keep anxiety on check. It is a day to day practice that will make a huge difference in your life (at least it has in mine). When we quiet our minds and deliberately choose not to think- we are open to receive. In my experience what I feel happens is similar to a software upgrade of our vibration. I receive moments of inspiration, ideas and awe. If I have a mental fog, the clarity I am seeking always shows up when I relax- once I stop panicking and center myself. When you quiet your mind your vibration raises. Most of the times, our minds run on auto-mode. By using this technique we develop a higher awareness of our thoughts, and become more conscious of our behavior and the way we think and feel. Gently step away from the noise of life, return home to your body, and generate more light to share with the world. Find a comfortable seat, (I normally sit in a cushion on the floor- or lay down if I'm feeling lazy). Set a timer for 5-15 minutes (If you are new, you can even start with 2 minutes and work your way up). Lengthen your spine and softly close your eyes. Chin down and slightly up focusing your attention on the third eye. Lay palms facing upward (to receive). Start to connect with yourself. Inhale until your lungs fill up. Exhale and let it all out. Nourish your entire body with your awareness. If thoughts come up, don't worry, just be an observer. Pay attention to the sensations in your body and let go. As you exhale- release any fear, constrictions and limiting beliefs that no longer serve you. See yourself as an open facet. Let the energy flow, be still and get tuned in. Let go of the need to be perfect, of doubt, of judgement, resentment, fears. Take a moment to honor those feelings as you inhale deeply. Hold it. Let it all go as you exhale. Open your eyes and observe any mental, physical and energetic shifts. 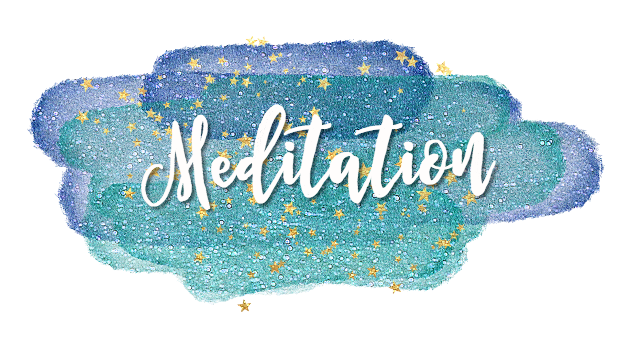 TIP: If you find it challenging to quiet your thoughts as you sit in silence, there are many meditation apps available, such as the Calm app or Headspace (my fave lately). Also, you can search for guided meditations (my faves are by Deepak Chopra) or crystal singing bowl meditation tones or binaural beats . There are tons of different meditations, just try searching on YouTube one that fits your needs (Ex: you can search: "meditation to sleep" or "meditation for creativity"). 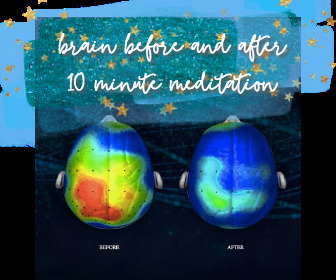 RECAP: WHY is meditation good for you?